Here at Green Van Lines, we’re proud to offer inexpensive, efficient moving and packing services to the Rockwall community and beyond. Our team of experienced local movers in Rockwall is highly skilled and offers excellent customer support. When it comes to your local move, Green Van Lines is the #1 choice! Green Van Lines is a full-service moving and packing company, so we can tackle any job you have for us. Our local movers in Rockwall are highly trained moving professionals with years of experience. 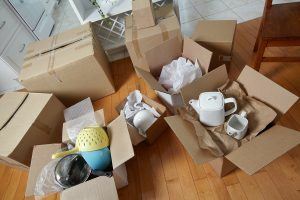 If you’re preparing to move across the country or even internationally, we understand how stressful this process can be. Green Van Lines is here for you. We have a track record for success, no matter how big or small the job. Do you need to move your vehicle in addition to your household items? Our auto transport services are affordable, reliable, and efficient. Transporting your vehicle is easy when you partner with Green Van Lines. Are you moving your commercial business? Here at Green Van Lines, we can successfully handle all your industrial and commercial moving needs. Our local Rockwall movers are here for you! Let us take over planning your move, transporting your belongings, and making sure all your goods make it safely to their destination. Our team of Rockwall residential movers and house relocation experts will take care of all aspects of the packing and moving process so you don’t have to. Is your business in need of corporate relocation services? Look no further than Green Van Lines! Come by and see us at our Rockwall branch – we’re always happy to talk with you and answer your questions. They whole crew was great. Rockwall, Texas in Rockwall County is a quaint suburb of the Dallas-Fort Worth metropolitan area, with an estimated population of 37,490 (as of 2010). The city received its name from the historic rock wall formations that can be found there. Rockwall is also home to several top schools, including Collin College.